Going into the latest Star Wars movie, Rogue One, was like riding a roller coaster. For months I heard rumblings of problems so I was moderating my expectations quite a bit. Then the premiere happened and people I trust went nuts. ‘It’s the best Star Wars movie since Empire Strikes Back’ one premiere attendee tweeted out. As a Star Wars fan, this can’t help but boost my expectations as Empire is one of my favorite movies ever, not just Star Wars movies. I also read the prequel novel Catalyst and enjoyed it pretty well, so that got me excited. What I liked most about Catalyst was the characters of Galen, Krennic and Lyra. The story left something to be desired but it was good enough to have me excited for Rogue One. I should say that Rogue One is not a terrible movie by any means. In the world of action movies it is fine but it is nothing more than that. In particular, the character development and storytelling really let me down. For example, a segment of the movie deals with Saw Gerrera and Jyn getting some information from him about her father. This scene is really long and 99% of it seemed superfluous and confusing. Even Saw’s character was muddled. I couldn’t understand him half the time and I was never sure if he was a good guy or bad guy or what his motivations were. It was just a lot of talking and shooting with little narrative focus. Then they move on to the next action set piece involving Jyn’s father but this again stretches a simple objective into a long rather muddled sequence of fighting and doing random things. In between, we get Darth Vader for about 7 minutes and we meet various rebels. There are a bunch of rebel leaders including Mon Mothma who is woefully underused. They debate about going after the plans and I guess this is supposed to be engaging but since the characters are weak and I know they are going to go after them it all felt kind of boring. 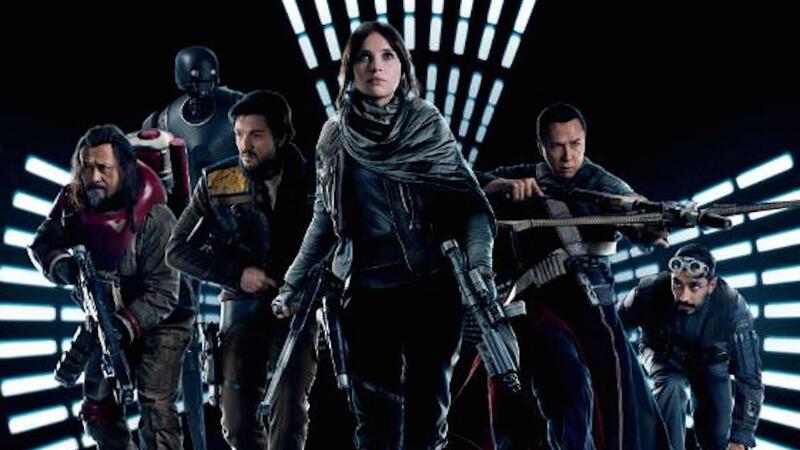 There is also a crew that surrounds Jyn who are all given very little screen time or character development. You have the blind guy, the guy who shoots a lot, guy who is romantic lead and others. At one point about an hour into the movie a character asks for another guy named Bodhi and I had no idea who that was. It’s not good if an hour into your movie I don’t know the names of the lead characters. The blind character Chirrut also confused me because he is force strong but not in a way I have ever seen in any other version of Star Wars. There is a scene where he walks through a barrage of blaster fire repeating ‘I am the force’. This is not how the force works especially for a non-Jedi. It screamed of ableist super powers often given to disabled characters in films. I expect better characters from Star Wars. Plus, he and the guy who shoots a lot hardly speak the entire movie. How am I supposed to get to know them if we never hear from them? In other Star Wars films they are able to create memorable characters rather quickly. For example, we learn tons about Han Solo in the original film just by his interactions with Greedo and commissioning him as a pilot. We are clear who he is and what he matters to the story. In Rogue One I had no such clarity on any of the side characters. The only characters I knew aside from Jyn were the villain Orson Krennic and her father Galen because I had read Catalyst. If I hadn’t I wouldn’t know much about them. Krennic particularly suffers because he pales in comparison to Darth Vader. I know it sounds like this is the worst movie ever but it’s not. It does come together for a rousing final battle scene that I enjoyed. Also Jyn was a compelling character and Felicity Jones does a good job in the role. She at least does the best job she can with the flat script. 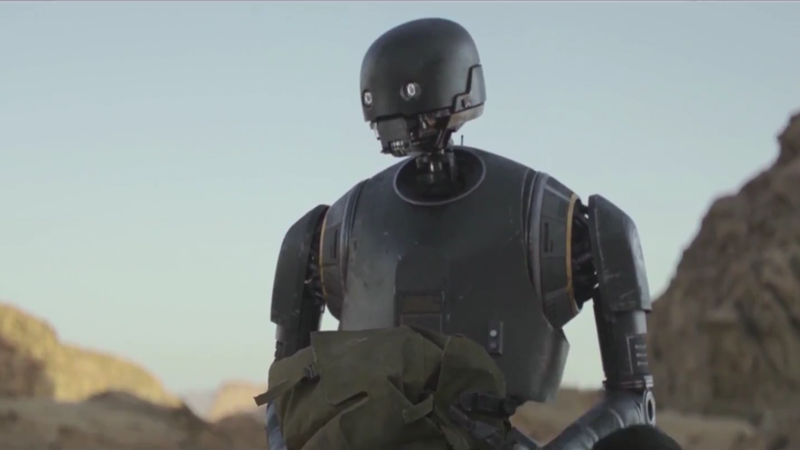 I also thought the droid K2SO voiced by Alan Tudyk was hilarious. Nobody wanted to love Rogue One more than I did, but I have to be honest with my response. I thought the story lacked narrative focus, the script was poor and the character development was weak. This is not a film I feel compelled to see again anytime soon and honestly I feel confident placing it below Revenge of the Sith as my 6th favorite Star Wars movie. Even the tragic moments didn’t work for me because I knew they were coming and the characters hadn’t been well developed. I didn’t care for them so it all fell flat. If you want to see a war movie that brings out tons of emotion watch Hacksaw Ridge. That is a great war movie with well developed characters. This is a passable action movie and that’s about it. This seems like pretty much what I’m expecting to see in this “Star Wars”-spinoff. I guess you have low expectations then? I mean, the trailers looked boring to me, so I’m not expecting it to be anything more than an average film. I just don’t feel that any Star Wars spinoff can be amazing; I feel they’ll leave the amazing stories for the actual franchise films themselves. Have you ever done a post on your blog about top 10 films you dislike, but everyone loves and vice-versa? If not, you should 😀 ! Yeah, I’d definitely read that! There are so many people: Saw Gerrera, Jyn Erso, Galen Erso, Mon Mothma, Bodhi Rook, Chirrut Îmwe, Orson Krennic. As I read these names from your review, I couldn’t even remember which one was who at first. Based on context, I figured it out, but I they throw so many names, places, and facts at the audience, it’s impossible to keep track. I’d need the “analysis of major characters” from a CliffsNotes study to keep tabs on all these people. They’re poorly developed characters and so I just wasn’t interested. That doesn’t make it easy. Oh my gosh, a review that I agree with! I put my review up on my blog yesterday and honestly wrote some of the same things you said almost word for word. I have so many friends saying this is one of the greatest movies ever, and I just don’t get it. The whole thing did not work for me. I see where you’re coming from on this one, even though I did like it. Not love it like the classic trilogy, or have quite as much fun as I did with The Force Awakens, but like it enough so that it makes it out of the “prequel curse” that plagues Episodes I-III. There were characters I enjoyed watching like Jyn Erso, Krennic, and K-2, but other like Saw Gerrero I really couldn’t care about. I hate to say this about a Forrest Whitaker character but he was a real DRAG! For me it made up for the pacing issues with the explosive finale, with the. What director Gareth Edwards did with Vader was comparable to how Godzilla was used in the recent movie; even if it’s not a film a lot of people love most can agree that the final battle and the way Godzilla was used was incredible to watch. And this was the most impressive that Vader has been since The Empire Strikes Back, I was on the edge of my seat as the film wrapped up and it’s final minutes set up the start for A New Hope. But alas, I found Star Trek Beyond more well rounded and enjoyable, and I’m a little bummed by the fact that it has a more mixed response on IMDB than “Into Darkness”. Sorry you didn’t much care for Rogue One. I agree that the characters weren’t as well-established as they could have been, and Saw Gerrera in particular turned out to not be all that important a character and might have improved the beginning if he wasn’t in it at all. Yet, even though I didn’t know all their names, I thought the characters were just likable enough that I cared when the sacrifices came toward the end. I wasn’t heartbroken but with such a high body count, that’s probably best. 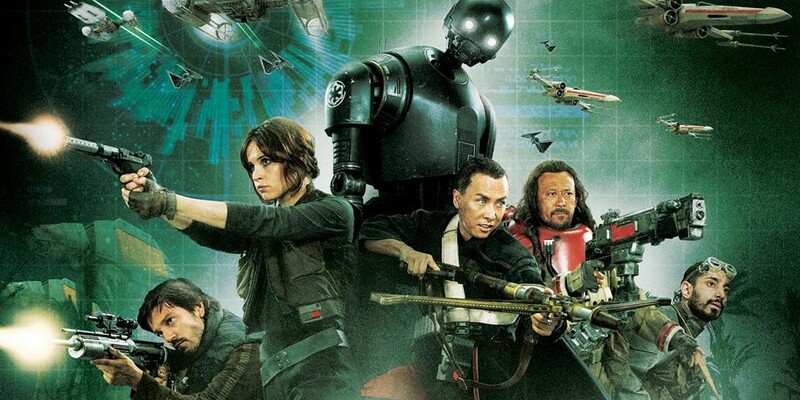 I recognize its flaws, but I still enjoyed Rogue One a lot for its original storyline, since I thought Force Awakens relied a bit too much on nostalgia. Pingback: Star Wars: The Last Jedi Review (Some Spoilers) – Reviewing All 56 Disney Animated Films And More! Pingback: Solo: A Star Wars Story Review – Reviewing All 56 Disney Animated Films And More!